Those of you who know me well, know I am a lover of college basketball and March Madness. Watching UMBC’s 16th seeded Retrievers take apart the nation’s top ranked Virginia Cavaliers the other night was an amazing experience. Sixteenth seeds had lost all 135 prior games against top seeded teams in NCAA regional matches over a period of several decades. This game rates as one of, if not the biggest, upsets of all times in sports. After enjoying the feat that I had just watched on television, I could not help thinking about the larger implications of what the game really meant and how we may be blinded by history (as well as learning from it). It is fair to say that this game was a black swan. 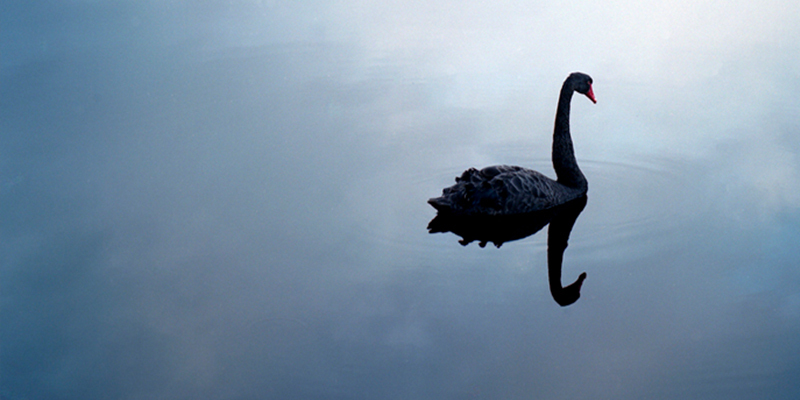 A black swan event is one that is believed highly unlikely to occur, but has significant repercussions. Imagine if a stock rose in value every single year of its 135 year history. I have no doubt but that every pundit would have reasonably concluded long ago that this stock has no risk of losing money and will continue to rise always. Like the Retrievers amazing upset, the truth would be that 135 straight occurrences does not eliminate the possibility of a black swan occurring this year (the extremely rare year that the stock falls in value). So, one lesson from the game is that there are unlikely future events that will unfold in life. We should not assume that things that have been true (even if they have been true all of our lives) will of necessity remain true forever. We need to remain humble and realize there are risks in investing and in life that we may not be aware of. The flip side of this realization is that the pattern established by history may still be largely correct. In coming years, the chances are that the first seeds in the tournament will continue to dominate the 16th seeds in first round basketball games. The fact that UMBC pulled off this amazing upset does not change the equation that the best rated teams in the tournament are usually very well positioned to to beat the lowest rated teams. It can happen again, but….a rational person would demand very high odds before betting in a 16 seed. Still, these highly unexpected events will occur and may give us either an unexpected windfall or a calamitous loss in life. It seems to me that the hard part is to figure out the proper balance if you understand these events. You don’t want to stay in the basement of your house all of your life because there could be a tornado that strikes your neighborhood. Conversely, you may not want to jump in the deep end of a swimming pool during a lightning storm because you know people are unlikely to be struck by lightning during their lifetimes. The important thing for an investor to understand is that there may be no sure things as we contemplate the future but that there are also likely outcomes to consider when planning.